As a freelancer, I’m quite used to every day being different from the next. So on this particular Tuesday morning, it was no surprise to find myself heading east on the jubilee line to London Bridge. The lure? If I’m honest, it was the promise of a free HIIT workout and a healthy breakfast, with celebrity fitness trainer and PT to Millie Mackintosh, Olivia Cooney of Pop-Up Fitness & Sports and Exercise Nutrition Expert, Dr Tom Clifford. 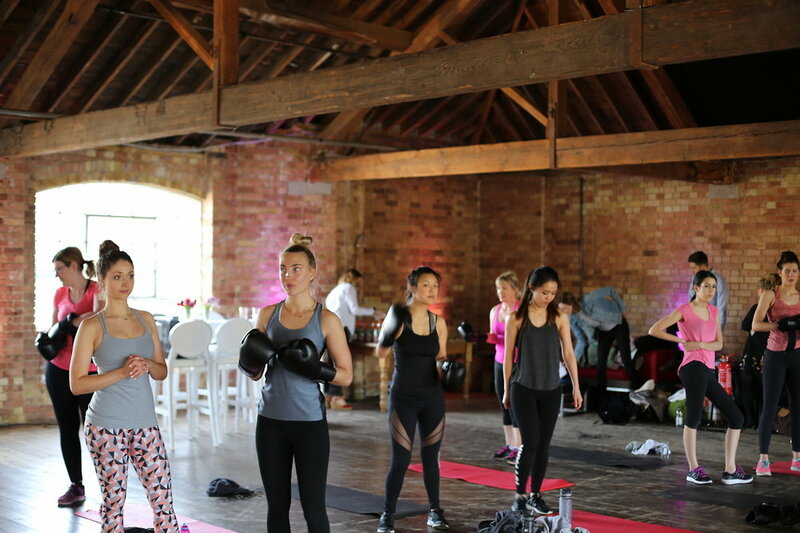 Unfortunately, it meant peeling myself out of bed for an 8:30am start time… but… every cloud… the class was to take place in the stunning loft space of an old – yet extremely photogenic – London warehouse. I’d invited Lucie Loves’ Men’s Lifestyle Blogger, James Barley, to come along with me. Olivia Cooney put us all through our paces with a series of high intensity interval training exercises. We burpeed, side-planked and boxed our way through it, accompanied by a live DJ set from The Collyer Twins. If you’ve read my fitness posts before, you’ll have seen that I’m quite a fan of boxing as a form of keeping fit. Check out my review of the Get Fit Not HIIT class at Total Boxer. The premise of the class was to impart beetroot-related knowledge to fitness & lifestyle bloggers like me, and get to try some of Olivia’s tasty beetroot-based recipes, such as: chocolate beetroot energy balls, on-the-go sweet chilli beetroot frittata, balsamic beetroot and carrot fritters with garlic and mint yoghurt and beetroot falafels. I was interested to hear how eating beetroot before and/or after exercise can support post-exercise muscle recovery. Personally, I like the flavour and can eat it until it’s coming out of my ears, but I appreciate that its earthy taste isn’t for everyone. If you’re keen to introduce beetroot into your diet, try adding it to your fresh juices.